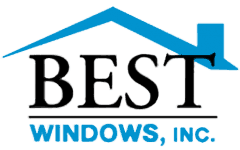 At Best Windows, we provide our residential and commercial clients with high-quality windows at affordable prices. Match the type of window to the style of your house. Give your old home a facelift by replacing the less stylish windows with new and modern ones. If your house is caught in a time warp while the rest of your neighborhood has moved forward, talk to us. We can arrange for you to check out our window styles. Our professionals can even advise you on the popularity of certain items and your current best options. 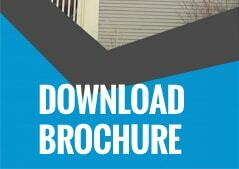 If you want more than windows, we can put you in touch with people who can talk to you about new siding. We also have close relationships with roofers. By talking to us, we can help you give your entire home a makeover. This full service is what our clients have come to associate us with. Yet, we not only provide the Chicago area with the greatest deals in windows, we also offer you the chance to learn how to discover the joys of dancing. If you are new to the area, you may have never heard of the Chicago Dance Factory. Best Windows has teamed up with them to offer you the opportunity, not only to be on the receiving end of some of the hottest values, but also to discover the world of ballroom dancing. Best Windows and Chicago Dance Factory are currently working together to offer you a unique experience. If you purchase a new window from us, you receive a lesson from the Chicago Dance Factory. Have you always wanted to learn more about ballroom, salsa or swing? Buy a window from us and you will get the chance. Chicago Dance Factory is an exclusive club that offers many services to its members, including weekly private lessons with a professional, group lessons, VIP dance parties and complimentary drinks. Their “Royal Masquerade Ball” with a wine tasting, as well as a magic, music and improv show, features an actual ball in which you and everyone else have a role to play. You can reach them at www.chicagodancefactory.com but, why not contact us and let a single window gain you entry to this fun and exclusive world?